I also shared last month's Island Batik challenge project and the pieced top for this month's project. 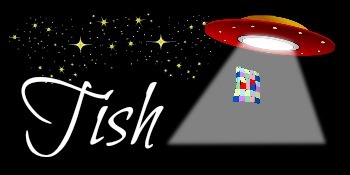 Hopefully I will be able to share the finished quilt with you late next week...fingers crossed. With our annual local festival right around the corner, it's time to create a few small items that can be sold at our guild's boutique table. This year I thought I would create a few simple blocks to be quilted up and sold as mug rugs. I chose an appliqued (not added yet) strawberry block that Pat Sloan recently posted. That little seam ripper got quite the work out when I sewed half square triangles wrong. I got cocky and didn't think I needed to look at the pattern...oops. All is fixed. The rest of my sewing life this week was lived through Anja at Anja Quilts and her recent finish of the Classic Meets Modern QAL Quilt. 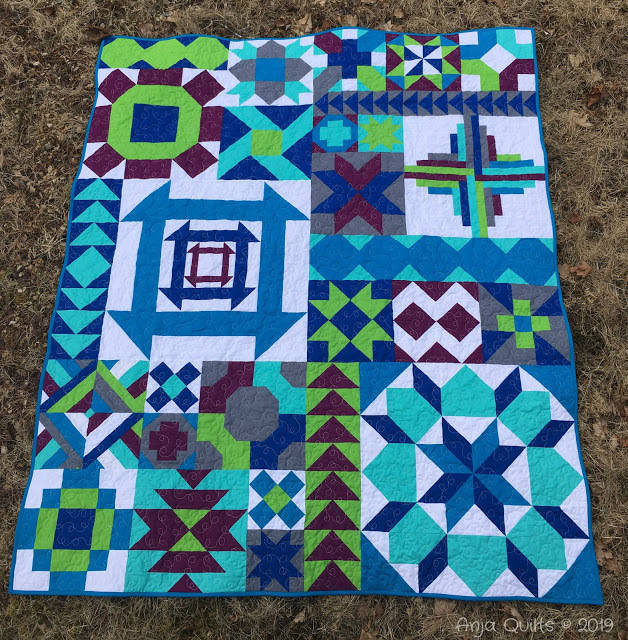 I wanted to play along with this quilt along last year so badly, but just didn't have the time. 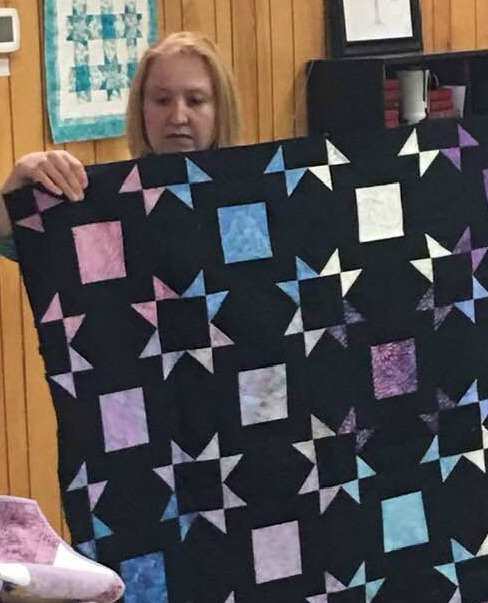 Anja did an amazing job with her version of the quilt. Make sure you hop over and congratulate her on this finish. 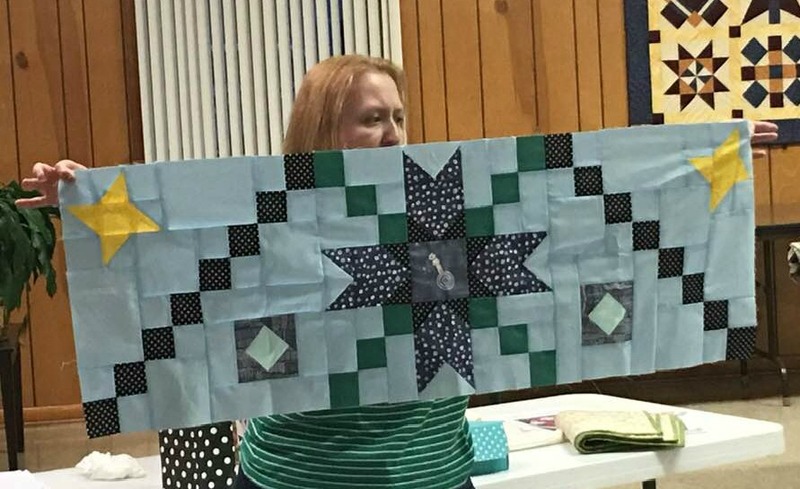 Personally I thought QAL quilts had to sit for at least 5 years before you can finish them. I'm glad Anja didn't wait! Now let's see what you've been up to this week. Link up below and tell us all about it. Great progress on your projects! 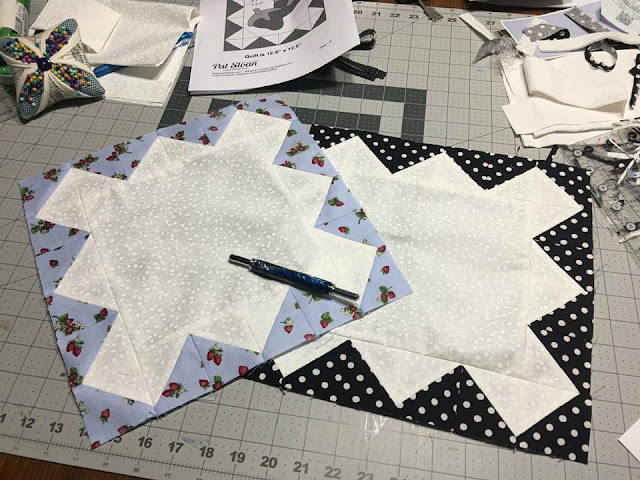 I love your Star Island Batik challenge quilt, and these mug rugs are going to be so cute! I figure as long as we get something sewed it's a step in the right direction, so congrats! I am looking forward to seeing all of you 'Out of this world' quilt. You are making great progress! 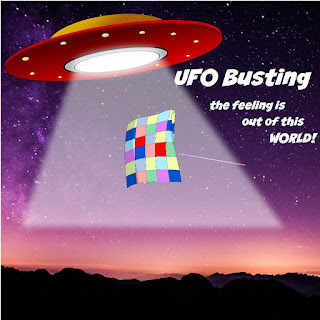 I can’t wait to see your project for this month and your Out of this World quilt! I also think you are making great progress Tish. All your projects look great. You're making great progress. Thanks for the shout out.